Online poker is big news once again as Amaya Gaming bets large with their recent high-stakes acquisition of renowned brands, Pokerstars and Full Tilt Poker. This move by the Montreal-based, publicly listed, Amaya Gaming Group Inc. could potentially transform the online gaming industry. In doing so, the company has had to assume a significant debt load but they are betting large that the legalization of online gambling in key U.S. states is imminent. This is a risky wager considering the $4.9 billion dollar price tag. Over the past several years Amaya Gaming Group Inc. owner, David Baazov, has been steadily developing this software and technology company by servicing the gambling industry. Baazov now hopes to not only sustain, but grow the current pool of approximately 86M registered Pokerstars and Full Tilt members. Baazov also has plans to convert these online poker players to different online games, mobile applications, and form partnerships with brick and mortar casinos. Social media is expected to play a big role in this conversion process. Amaya Gaming considers the 86M registered members as players, not necessarily just online poker players. In order to succeed, Amaya Gaming will have to overcome some big obstacles. There are social, legal, and regulatory issues that will need to be addressed. Some of the key issues being the opposition to the legalization of online gambling and the banks, financial institutions, and credit card suppliers who refuse to conduct business of this nature. 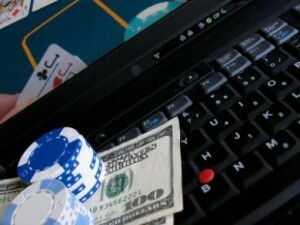 To date, only New Jersey, Delaware, and Nevada have legalized online gambling. California and other key states are still considering the matter. There is solid opposition to such a move, led in large part by land-based casino mogul Sheldon Adelson. Adelson is sparing no expense to push Washington to stop online gambling in its tracks by once again imposing a federal ban. The once-flourishing online poker industry was effectively shut down following the crackdown by the U.S. Department of Justice in 2011. PokerStars founder, Isai Sheinberg, and ten other online poker executives were later indicted for conspiring to violate the UIGEA, or Unlawful Internet Gambling Enforcement Act. Scheinberg and his son Mark will no longer participate in the company as part of the terms of the new deal with Amaya. Existing management will be allowed to remain on board. Clear of these impediments, Baazov is confident that Amaya will succeed in expanding online poker via the PokerStars and Full Tilt Poker brands throughout the U.S. as well as in regulated jurisdictions the world over. Baazov feels strongly that online poker will thrive regardless of whether or not the U.S. opens its doors to new legislation. He also believes that financial institutions will eventually be willing to process transactions once again. In order to finance the acquisition of these online poker sites, Amaya has taken on $2.9 billion dollars in debt. Global Gaming Business editor, Frank Legato, points out that while the deal is a great one for the Scheinbergs, it’s a real gamble for the Amaya Gaming Group. Ultimately it’s a question of whether or not Amaya’s revenues will be enough to cover the debt they’ve incurred. With 86 million registered users, the odds are in their favor.